Alright guys, it's time for free swag! 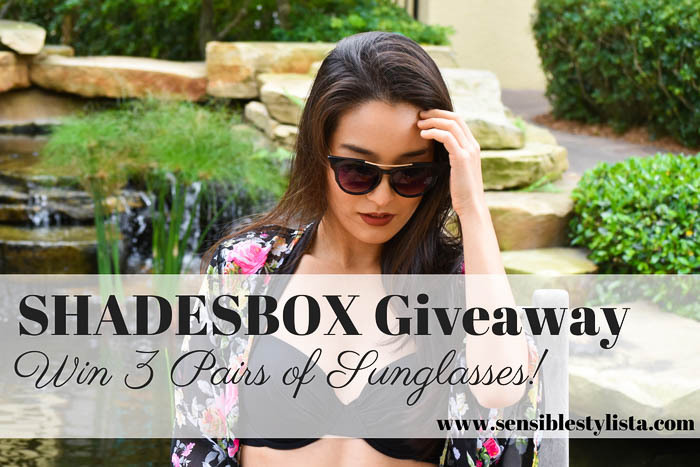 I've partnered up with WearMe Pro today on SS to raffle away one SHADESBOX to a lucky SS reader. If WMP sounds familiar, it's because it should; I featured them HERE not too long ago. Just in case you need a refresher, click on the aforementioned link. You'll see that each box comes with 3 sunglasses, and it's retailed at $29.99. I can pretty much guarantee you'll love whatever fabulous designs they send you. As always, entering is super easy. All you have to do is follow WearMe Pro on instagram via rafflecopter below. There are bonus entries available to increase your chances of winning so make sure you take advance. Open to residents of the US + Canada, this giveaway closes on January 30th. Good luck, everyone!